Starring Shah Rukh Khan and Anushka Sharma, the video depict very beautiful chemistry between them. 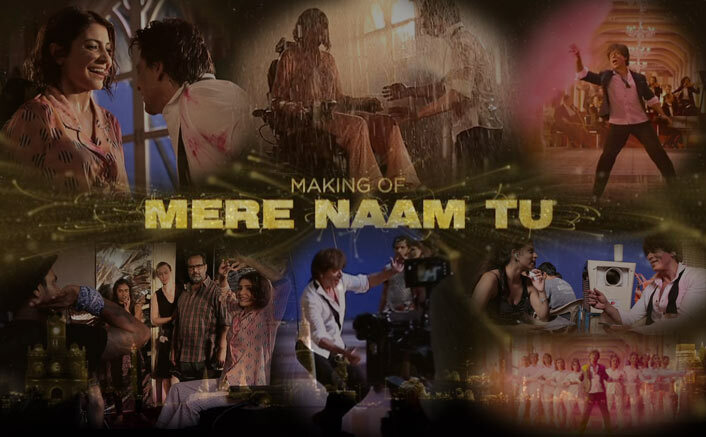 Mere Naam Tu song from Zero was out a couple of weeks ago and it has been loved by many. Starring Shah Rukh Khan and Anushka Sharma, the video depict very beautiful chemistry between them. Making of the video is out and below are the highlights from it. 1. Anushka Sharma in pyjamas – the most comfortable costume ever she shot in. However, the comfort didn’t last too long as colour and water were poured on her. 2. Shah Rukh Khan singing the song to his daughter Suhana who was on the sets. 3. Anushka Sharma shares her thoughts about converting a hotel corridor into fantasy land for ‘Mere Naam Tu‘. 4. The colours, the waterworks and the flowers in ‘Mere Naam Tu’ made the song really special for me and my character Aafia says, Anushka Sharma. 5. The little children dancing with Bauua Singh is one of the most adorable moments in ‘Mere Naam Tu’! Kedarnath Box Office Day 1: Where Will It Stand In Sushant Singh Rajput’s Top Opening Days?